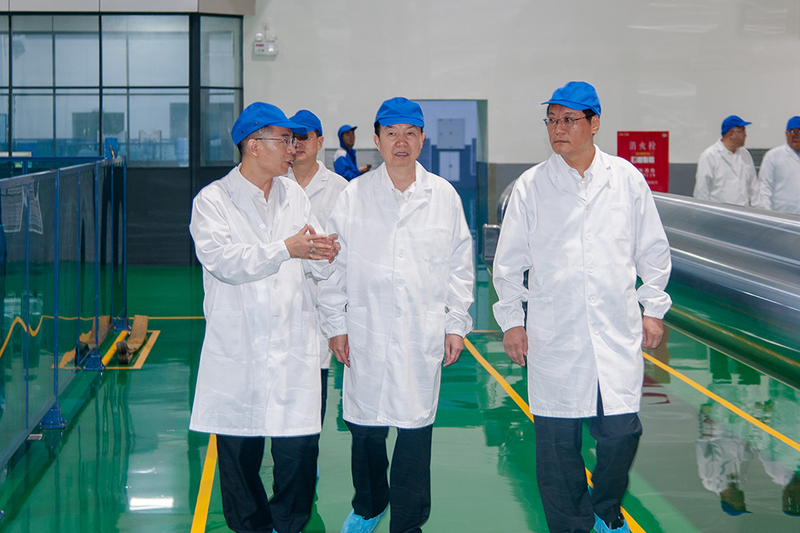 At the project construction site of Kanghui Petrochemical, president Zhang understood the company's current project construction and future development plan in detail, and appreciated the busy and orderly work scene in the construction site. It is hoped that the new project of Kanghui can ensure the safety and quality of construction and be put into production at an early date to make a greater contribution for local economy. 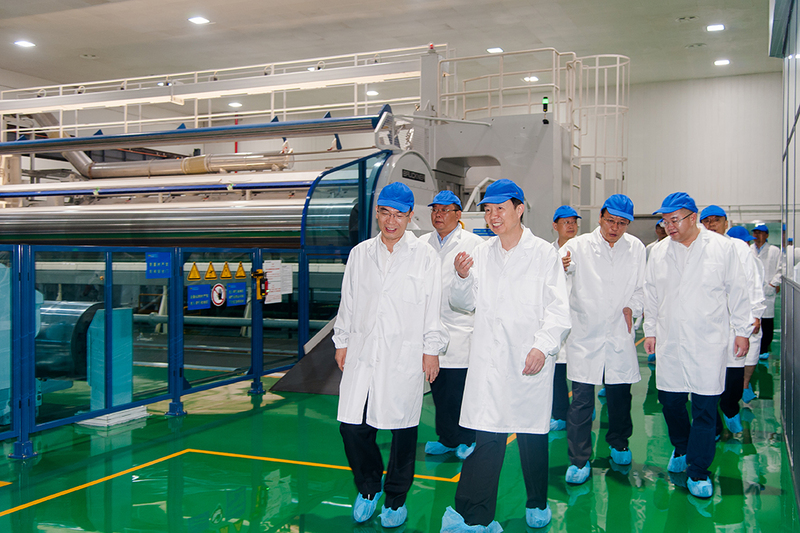 Subsequently, President Zhang and the delegation came to polyester film production workshop and inspected the main polyester film products of Kanghui. They were deeply impressed by the clean and tidy production workshop, modern production equipment, rigorous and orderly work of staff. Zhang Xuequn pointed out that Kanghui Petrochemical as a key investment in Yingkou projects, the development of the past few years for all to see and has made tremendous contributions to local economic development and also played a positive role on non-public Party building for the other companies. He believed that Kanghui will be able to grow stronger in the future in the field to create a modern enterprise playing a further saving and sustainable development.